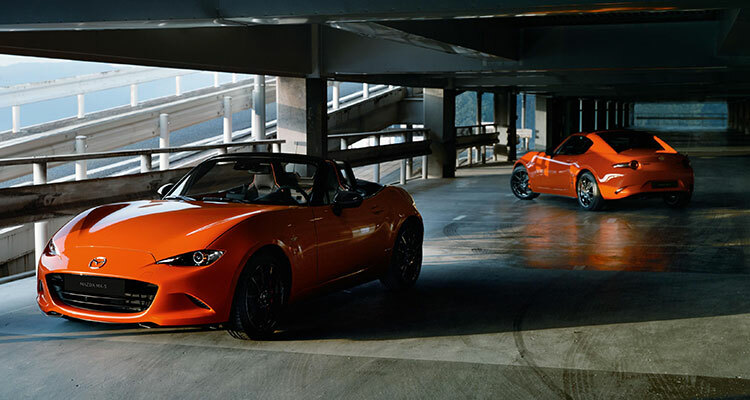 The legendary Mazda “Miata” is being celebrated, in bright racing orange no less. Popular opinion suggests that the Mazda MX-5 is the greatest affordable roadster ever made and sales figures seem to support that. To celebrate the colossal success of the beloved MX-5, Mazda have just revealed a special 30th Anniversary Edition which is now available to order. 30 years ago, Mazda showed the MX-5 off to the world for the very first time at the Chicago Motor Show and 3 decades later at the same show, they’re at it again. 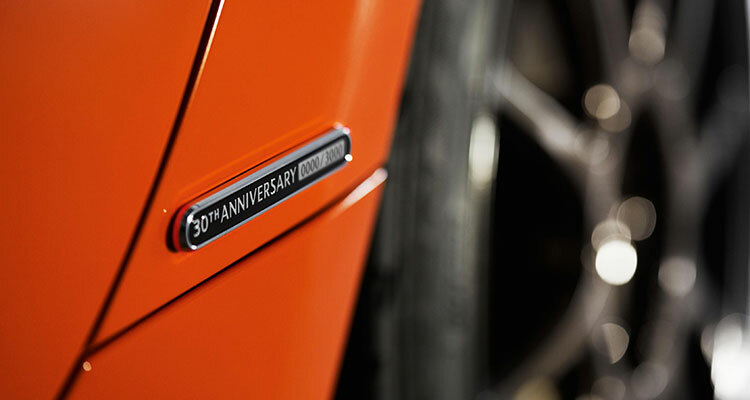 Just yesterday on the 7th of February the bright orange (or “Racing Orange”, we should say) limited 30th Anniversary Edition was unveiled, so here’s all you need to know. Let’s start with all the orange parts. 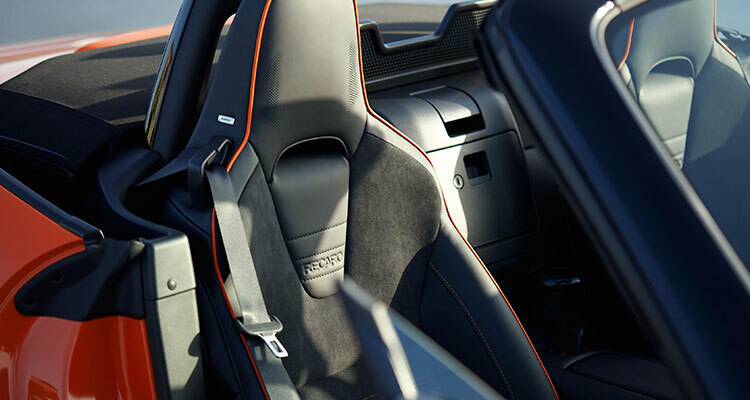 This includes the brake callipers, trim on the seats, door, dashboard, steering wheel, air vents and gear lever. It all looks very fresh but it’s a shame other colours aren’t available to choose from. 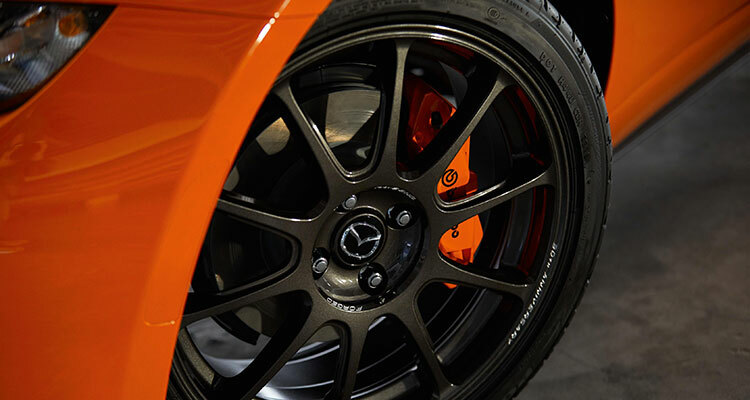 Along with some cool trim, each MX-5 Anniversary Edition comes with Brembo front brakes and forged aluminium alloy wheels developed exclusively for the MX-5 in cooperation with Rays Co Ltd. Each wheel has “30TH ANNIVERSARY” written in lovely silver lettering around the outside of the wheel which adds a very nice detailed touch. On the side of the car is the 30th anniversary badge displaying the model’s serial number. Below is an image of what will surely be the most collectable and valuable 30th Anniversary MX-5, model 0000. One other noteworthy thing to note about this special edition Miata is that Apple Carplay and Android Auto are included as standard. Great news for all of the tech enthusiasts out there. Mazda’s MX-5 30th Anniversary Edition uses the same updated 184ps 2.0-litre petrol engine that’s found in existing 2019 models. At roughly 181 bhp, the Skyactiv-G engine is paired with a 6-speed manual transmission and of course, sends power to the rear wheels. With this engine, the car should be capable of doing 0-62mph in 6.5 seconds. Bilstein dampers, strut-brace and limited slip differential are also all things found in the MX-5 Anniversary Edition. 600 of these limited edition beauties will be sold in the UK, 400 of them being convertible and the other 200 being RF (retractable fastback) priced at £28,095 and £29,895 respectively. 3000 models are to be produced in total, meaning that 20% of the total will be sold in the UK, clearly showing just how popular the little roadster is amongst Britons. The Mazda MX-5 30th Anniversary Edition is available to order right now and the first UK customer deliveries will begin in the summer.